Time for a new do? Having trouble training your puppy? Your family will love our friendly approach to veterinary care at Mt Evelyn Vet and your pet will love all the attention that they get too. We believe that animals play an important part in our lives, so much so that you'll always find several of our own dogs out the back during the day and our 2 clinic cats lounging around the place too. 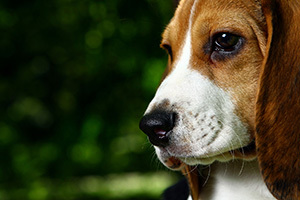 We are here to listen to any concerns you may have, and provide the best choices regarding your pet's health care. 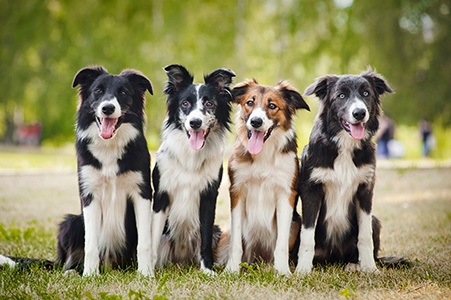 By working together with you, we can deliver the best possible outcome for you and your pet. We know there is a special bond that is shared between pets' and owners, so our focus has always been on providing consistent high standards of care to our patients, and providing outstanding customer service to you. Being an accredited Hospital of Excellence (1 of only 38 in Australia) as well as our Australian Achiever Awards, means your pet will get the very best care from a friendly compassionate team of vets and nurses. We aim to make both you and your pet feel at ease in our clinic with a caring and gentle approach to consultations, surgery and hospital stays. We understand how hard it can be to be separated from your pet, so we actively encourage you to visit them each day, and you may rest assured that your pet will be kept comfortable,with an individual pain management strategy planned by our vets. 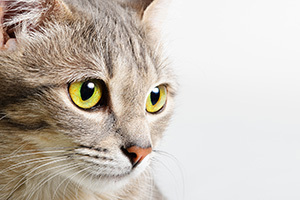 Make it easy to remember your pets wormers or monthly flea treatments. 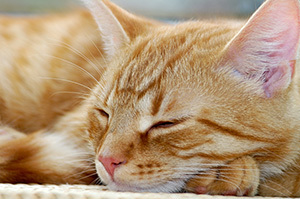 Useful information about cat health. We are located in the foothills of the Dandenong Ranges, bordering the Yarra Valley. Our accredited hospital of excellence is on Hereford Road in Mt Evelyn, only minutes from Lilydale, Montrose, Mooroolbark, & Wandin. 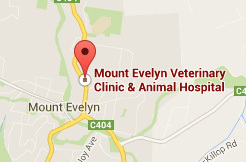 At Mt Evelyn Vet we are primarily a small animal practise catering to all breeds of dogs, cats, rabbits, guinea pigs and other exotics including reptiles, rats and birds. 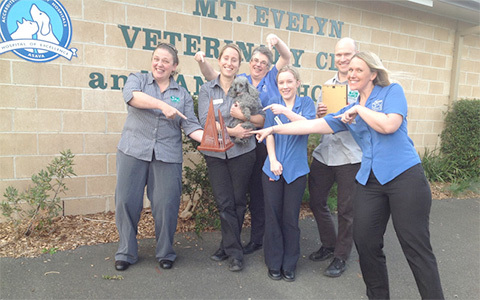 At Mt Evelyn Vet we are proud that we are 1 of only 35 'Hospitals of Excellence' accredited by the ASAVA (Australian Small Animal Veterinary Association). This means our team of vets and nurses are very highly trained to help diagnose and treat your pet using the highest quality facilities and equipment. We are conveniently located on Hereford Road in Mt Evelyn with on-site parking, with Lilydale, Montrose, Mooroolbark and Wandin only a short distance away. Other surrounding suburbs include Seville, Monbulk, Silvan, Chirnside Park, Gruyere, Coldstream, Croydon and Kilsyth. We have a friendly, knowledgeable team here to help you and your pet in all areas of their life and we look forward to seeing you. Why does my pet scratch?